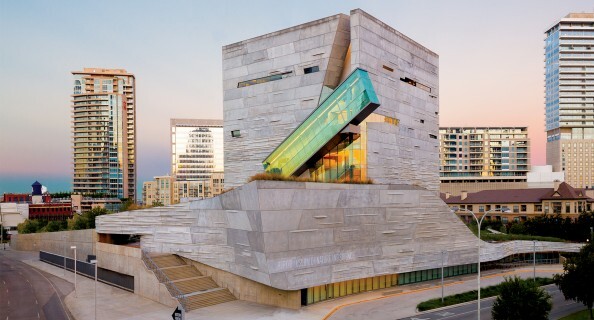 The thoroughfare transects the northern edge of downtown Dallas, and renovations and new construction are transforming its place as a hub for offices, retail, and residential. Ross Avenue is being transformed into a home of renovated buildings, new retail, and inviting restaurants. In the 1980s, nine skyscrapers were added to Dallas’s skyline and the city’s “Main Street” for commercial activity shifted to Ross Avenue as Trammell Crow and others developed a succession of commercial buildings closer to and ultimately on Ross Avenue. By the late ’80s, Ross Avenue was home to some of the Dallas’ most iconic and highly sought-after commercial space, but retail, restaurants, and residential never followed, resulting in a street with magnificent office towers — and a hodgepodge collection of surface parking lots. “One of the reasons I love to walk in Manhattan is it’s interesting to look in the windows and see the activity,” says longtime Dallas resident Jim Wilson, principal and regional partner of Atlanta-based Goddard Investment Group, which spent $70 million to renovate the iconic Fountain Place tower in one of the most ambitious rehabilitations undertaken along Ross Avenue. A 45-story residential apartment tower, AMLI Fountain Place, will be built next door. Today, the influential corridor is becoming a more fully urban district that combines a live-work-play component to the historically important corporate office address via a new wave of owners that seek to activate ground-floor retail and pedestrian traffic. Ownership changes along the corridor began to materialize about a decade ago as surface parking lots in the area began to change hands from parking lot owners/investors to local billionaires with track records for innovative and impactful real estate development: Tim Headington and Ross Perot Jr. among them. 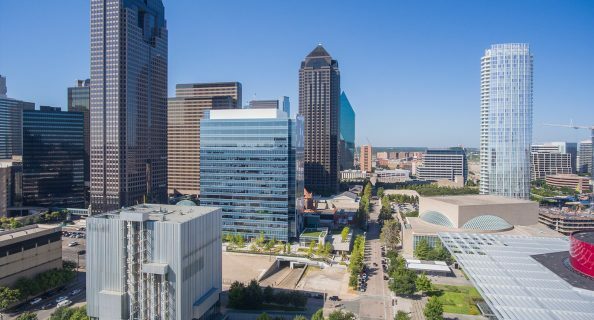 Trammell Crow Center’s mixed-use project in the 2000 block of Ross Avenue, more than four years in the making, is one example of a property ownership change and its impact. The initial catalyst for the project was a surface parking lot that became available for purchase, says Ramsey March of Stream Realty Partners, master developer for JP Morgan Asset Management. What resulted was a plan to sink $140 million into a project that includes extensive renovation of the existing 1984-era tower with new development across the street. “You could easily come into Trammell Crow Center or an asset like it, and touch up a few things, add a couple of amenities, maybe a tenant lounge and fitness center … and probably attract tenant demand,” March says. But Stream decided a transformative renovation would drive the most value for the building’s owners. Renovations of the existing tower, along with phase one of 2000 Ross Ave., a 2,000-stall parking garage, and 26,000 square feet of ground-floor retail, are scheduled for completion in the fourth quarter. More phases will follow, including a luxury residential apartment tower via another developer. Several hotel flags have expressed interest in developing a boutique hotel that will sit on top of the parking/retail development, he says. Ultimately, the development will have about 50,000 square feet of street-level retail — the highest concentration of street-level retail Ross Avenue has seen. Stream’s Sara Terry, senior vice president, and Scott Sowanick, vice president, will lead the leasing efforts at Trammell Crow Center while Thomas Glendenning with Shop Cos. will handle retail leasing. A lack of parking has been an issue for the Ross Corridor but the greater challenge has been the lack of cohesive urban connections to encourage pedestrian activity. The corridor’s “dead” blocks discourage pedestrians from walking the avenue. The Arts District and Downtown Dallas Inc. are recommending changes to bring a more vibrant streetscape. 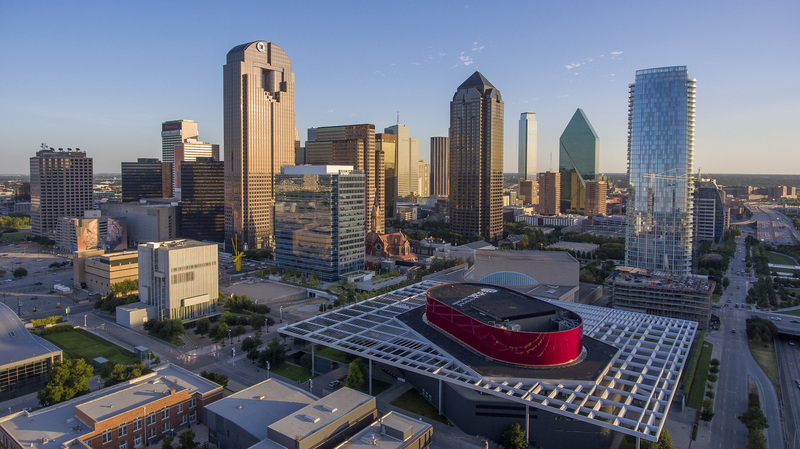 Since January 2016, the Arts District staff has been in the process of engaging the community, including developers and property owners along Ross Avenue, as it works through an extensive process to update the 35-year-old Dallas Arts District Masterplan. 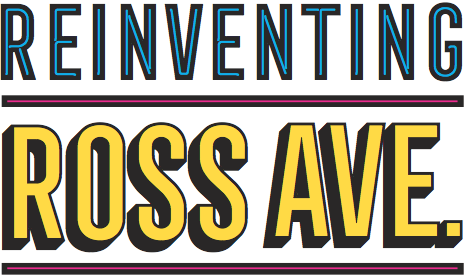 Its work began by seeking input from property owners, developers, city staff, and others, which resulted in a framework plan with five strategies — one being to embrace Ross Avenue’s future as a mixed-use commercial corridor. 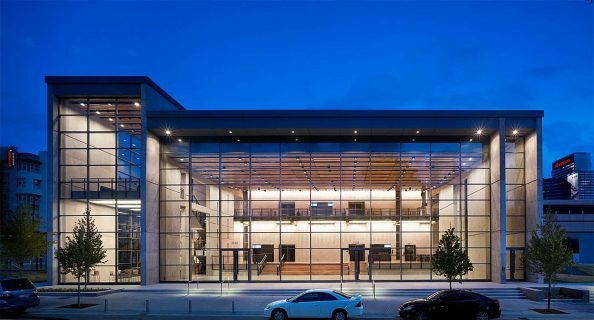 “We knew Ross Avenue had the potential of being the next important boulevard in downtown because it’s a perfect east-west connection; the district that greets you first, when coming from the east, is the Dallas Arts District,” says Lily Weiss, executive director of the Dallas Arts District. For Ross, the Arts District envisions streetscape standards and design guidelines that will support the avenue’s transformation into a safe, multimodal, and mixed-use urban corridor. The Arts District Infrastructure Committee proposals include pedestrian-oriented lighting, trees separating pedestrians from traffic, and building designs that bring structures and entrances to the sidewalk. Sidewalks would accommodate a vibrant street life, including outdoor dining, seating areas, and unobstructed walkability. Medians and other public spaces could include art, a hallmark of the Arts District, creating a sense of place and arrival. “One of the key priorities in thinking about public needs was to focus on infrastructure improvements — looking at what we can do to improve the pedestrian experience and the public realm,” Weiss says. For the Ross Corridor, that includes extending the character of the Dallas Arts District to the south side of Ross. 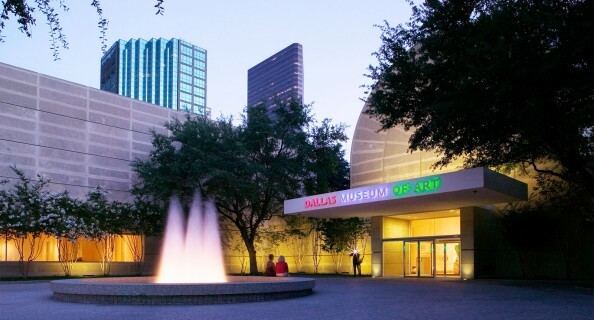 The Infrastructure Committee will propose that the city of Dallas extend Arts District zoning south one block to San Jacinto Street and from U.S. Highway 75 to St. Paul Street. Doing so will make both sides of Ross a more pedestrian-friendly experience. The Arts District is working on the proposal in partnership with Downtown360. The Arts District is continuing an active dialog with real estate developers and property owners along Ross, many of whom are energized by the avenue’s potential, she says. Kourtny Garrett, president and CEO of Downtown Dallas Inc., says diversification is raising the corridor’s appeal for pedestrians. “Now you are laying in more restaurants, more street life, and the Arts District is so important to all of this,” she says. 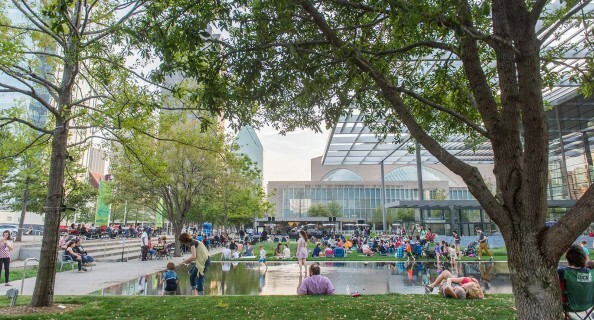 Besides the burgeoning Arts District, Klyde Warren Park has been significant to the rebirth, bringing over 1 million people to the city’s center each year. “It’s created that energy that I believe was one of the catalysts to a lot of the Ross Avenue redevelopment,” Garrett says. Downtown Dallas Inc. has Ross Avenue listed as a “corridor of interest” in its Downtown360 plan. It would like to see streetcar and bicycle lanes, landscaping, pedestrian walkways, and street-facing retail. Click the image to display a larger map. Craig Hall, chairman and founder of the HALL Group, says he hopes public funding will be committed to complement the private sector’s efforts along Ross. For his part, Hall is working on the $250 million HALL Arts Residences condominium tower and HALL Arts Hotel, the second phase of Hall’s Arts District development. The 25-story building on Flora Street, which broke ground a year ago, will have 44 condo units with prices starting at $2 million. It is scheduled for completion in early 2020. The hotel, on the north side of Ross, is expected to open in the summer of 2019. Both are next door to Hall’s 18-story KPMG Plaza at HALL Arts office tower. “The thing that I think will make the biggest difference in this area and is the game-changer—and I’m not just saying it because we are doing it—is the hotel,” Hall says. 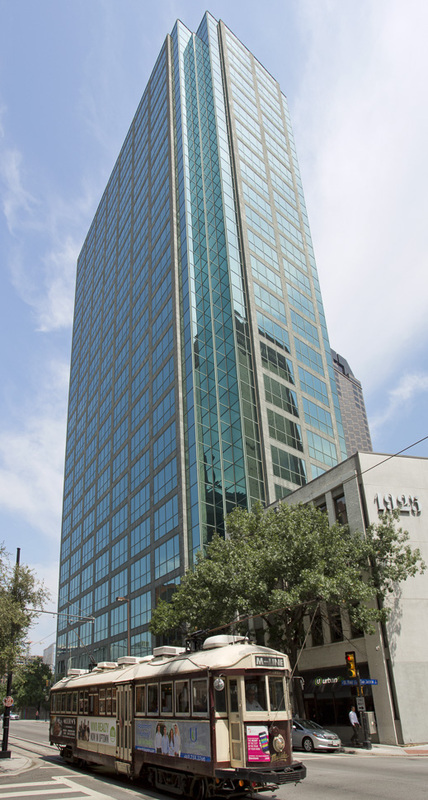 Lucilo Peña, president of development for Billingsley Co., has lived in the Arts District for nearly 11 years as one of the first residents of One Arts Plaza, which opened in 2007 as the first major commercial tower to be built downtown since the 1980s. “The area has changed drastically since I first moved in,” Peña says. 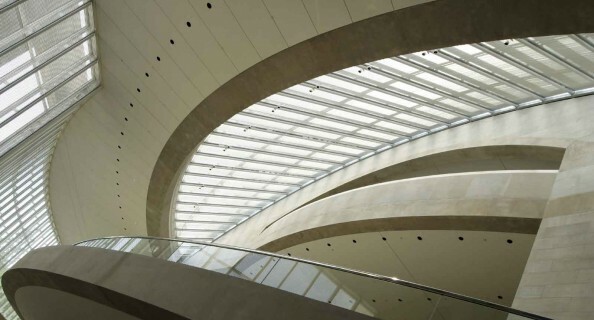 Around the time One Arts was being built, a renaissance was beginning in the Arts District with the renovation of Booker T. Washington High School for the Performing and Visual Arts (2008), the opening of the Winspear Opera House (2009), the Wyly Theater (2009) and the Moody Performance Hall (2012). Other renovations followed, and now more is on the horizon with plans for Two Arts Plaza. The office tower, to be built at the corner of Routh Street and Woodall Rodgers, will be 12 stories high with a park between the One and Two Arts. Preleasing is underway. Property owners who have already completed their renovations or new developments on or near Ross Avenue say they are enjoying the benefits of a revitalized corridor. Watt expects the current wave of development to spur additional construction and/or repurposing of more vacant office buildings. There wasn’t always this much going on downtown. Dallas chased hard after the Boeing corporate headquarters in 2000, but the company ultimately landed in Chicago. It was a tough and debilitating loss for Big D and part of the reason for it, Johnny Johnson believes, is that downtown Dallas had not yet evolved into a 24/7 city and because the city lacked depth in the arts. “I think Boeing was definitely a wake-up call for the city,” says Johnson, executive managing director at Cushman & Wakefield, which leases Fountain Place. Much has happened since then. 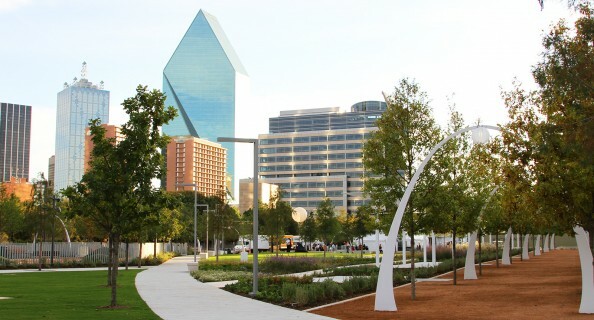 Besides the growth in Uptown and the expansion of the Arts District, Klyde Warren Park, which opened in 2012, provides a focal point that broke down divisions between Uptown and downtown, Johnson says. Dallas was named a finalist for Amazon’s H2, a compliment to the city’s efforts. he says.